While Rep. Bill Shuster (R-Pa.) last week took a small step for man’s efforts to fund infrastructure projects, his counterparts in the Senate took even smaller steps in Congress’ quest to journey beyond gridlock and consider an infrastructure proposal prior to the November elections. On July 23, Shuster unveiled a draft plan that called for increasing federal fuel taxes to pay for big-ticket transportation systems. Two days later, the Senate Commerce Committee devoted the afternoon to gaze at the stars and wonder when the nation finally would follow through on a mission to the fourth rock from the Sun. Space exploration experts told senators that while the logistics still are difficult for flying by the Moon and landing at Mars, additional congressional funds for NASA scientists would greatly help in sending humans safely into deep space in the coming decades. “From an exploration point of view and the desire to push humanity beyond what we even think is possible, we’ve been stuck in lower Earth orbit for too long. We need to rethink the funding portfolio and timely investments to succeed in getting to the Moon and onward to Mars,” said Dava Newman, Apollo program professor of Astronautics at the Department of Aeronautics and Astronautics at Harvard-MIT Health, Sciences, and Technology. 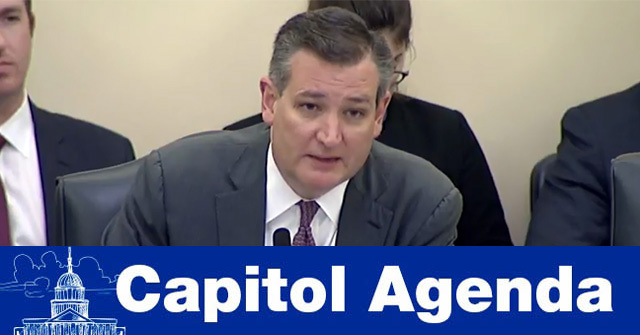 And, while Cruz’s support for devolving infrastructure funding responsibilities to the states differs from Shuster’s view of maintaining a robust federal role, it was unclear if the senator would ultimately vote to pay for trips to where no man has gone before. July 30-31, 9:15 a.m.: The Motor Carrier Safety Advisory Committee meets to complete its deliberations from June 2017 and issue recommendations to the Federal Motor Carrier Safety Administration regarding automated driving systems-equipped commercial motor vehicles. July 30, noon: The Consumer Federation of America hosts a conference call briefing on the release of the annual consumer complaint survey. July 30, 7 p.m.: The Maryland Chapter of the Sierra Club hosts a conference call on plans to invest more than $100 million in pipelines and infrastructure to proceed with fracked gas throughout the region. Aug. 1, 9:45 a.m.: The Senate Commerce Committee marks up the Space Frontier Act of 2019, the COASTAL Implementation Act of 2017, the Driftnet Modernization and Bycatch Reduction Act, the Passenger Rail Crew Protection Parity Act; the Endangered Salmon Predation Prevention Act, and the Port Operations, Research, and Technology Act. The panel also will consider the nominations of Rick A. Dearborn to be a director on the Amtrak board of directors, and Martin J. Oberman to be a member of the Surface Transportation Board. Aug. 1, 10:30 a.m.: The Senate Environment and Public Works Committee hosts a hearing titled, “Examining EPA’s Agenda: Protecting the Environment and Allowing America’s Economy to Grow.” Acting EPA administrator Andrew Wheeler is scheduled to address the panel. Aug. 1, 1 p.m.: The U.S. Chamber of Commerce hosts an event titled, “Get Smart on Blockchain.” The discussion will touch on the potential for blockchain technology to transform industry, health care, insurance, retail, agriculture and governing. Aug. 2, 9:30 a.m.: The International Trade Commission meets to examine dealings with China, Italy and Taiwan. CALIFORNICATION: An association of small to medium motor carriers has become the first industry challenger of a California Supreme Court decision that could make it extremely difficult for the state’s truckers to use independent contractors. UNDERCOVER BOSS: More than three dozen managers and front-office employees at C.R. England Inc. have taken classes to earn a commercial driver license at the request of CEO Chad England, who said he believes the experience of learning to drive big rigs will help the company be more responsive to the needs of drivers. SUNGLASSES REQUIRED: The U.S. trucking industry is enjoying its best business environment since deregulation in 1980, and the good times will continue in the near term unless trade disputes hinder economic growth, American Trucking Associations Chief Economist Bob Costello said. Nebraska’s Tim Dean is ready to school the competition. Senators on the EPW committee are likely to bring up glider kits during Wheeler’s hearing Aug. 1. From radio-friendly rapper to car stunt opinion leader. I do not support a takeover of PREPA by the U.S. Department of Energy. Eduardo Bhatia, former president of the Puerto Rico Senate and spokesman of the commonwealth’s Democratic party, at a hearing of the House Natural Resources Committee on July 25. The Puerto Rico Electric Power Authority has experienced staff changes since last year’s hurricanes devastated the island. From the federal government and here to help.